Star and Paw print design in stainless steel for increased durability. This astral inspired divine Premium Stainless Steel Star pet i.d. 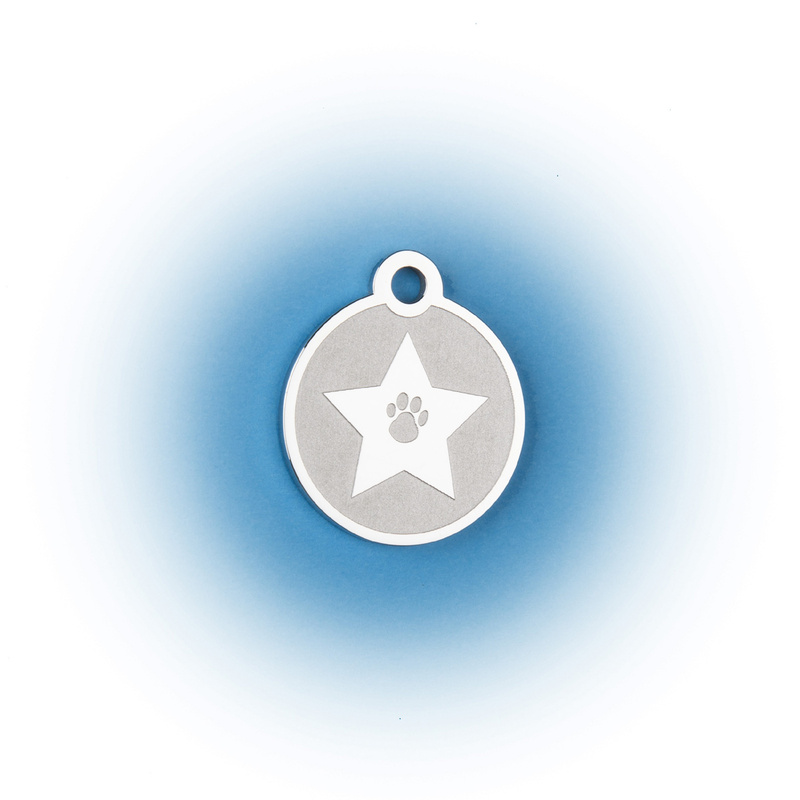 tag, offset with a polished star and brushed steel paw print and background. As it is laser marked, the quality of finish is exceptional and comes with a Lifetime Guarantee to not fade or wear off. A fine, unique and hard wearing gift, complete with a split ring. 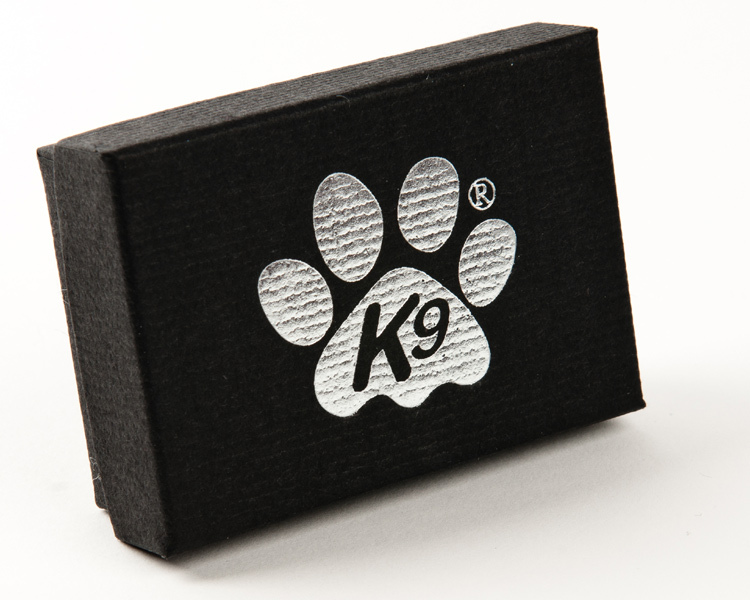 A smart gift box with the silver printed K9 logo can be purchased alongside this tag at an additional cost.